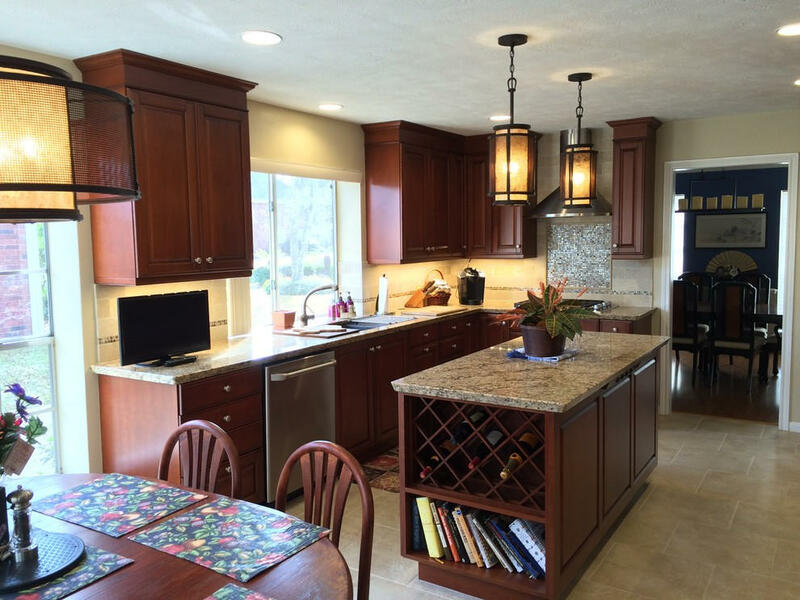 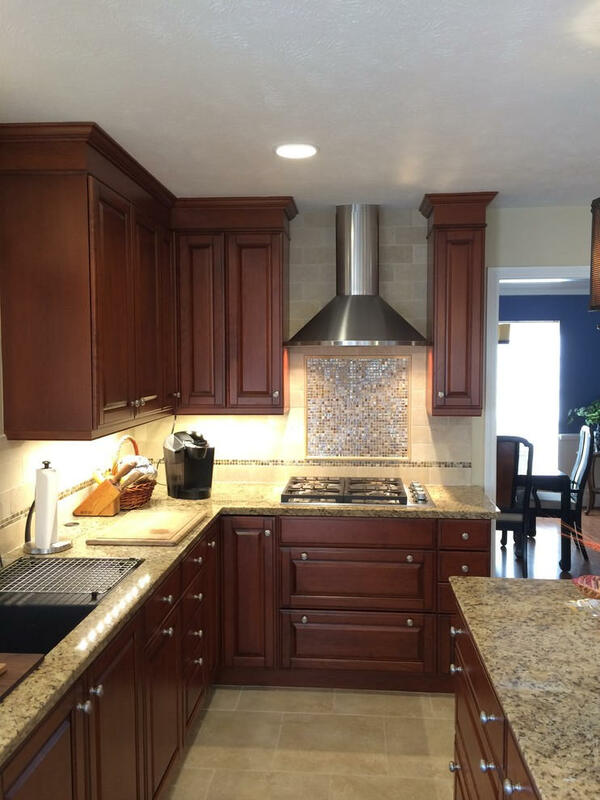 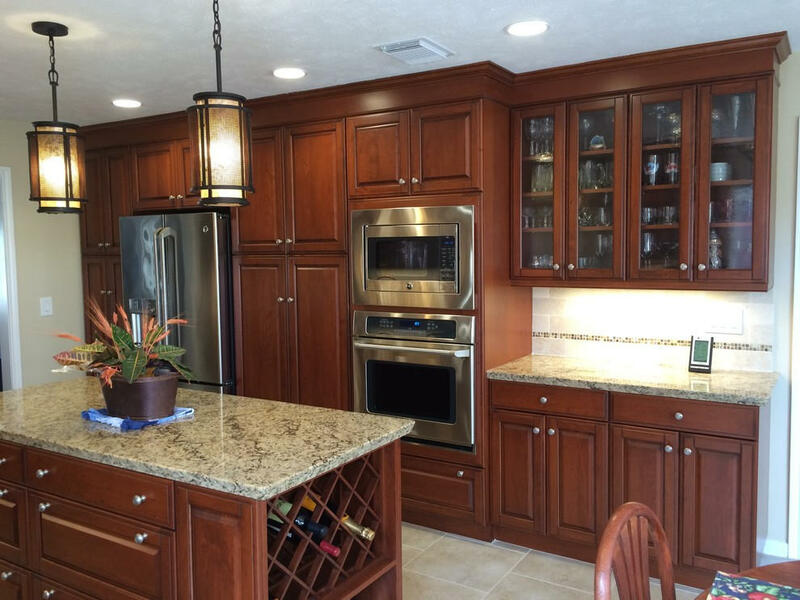 This warm & cozy kitchen features custom cherry cabinetry, abundant, accessible and convenient storage, high-end lighting. 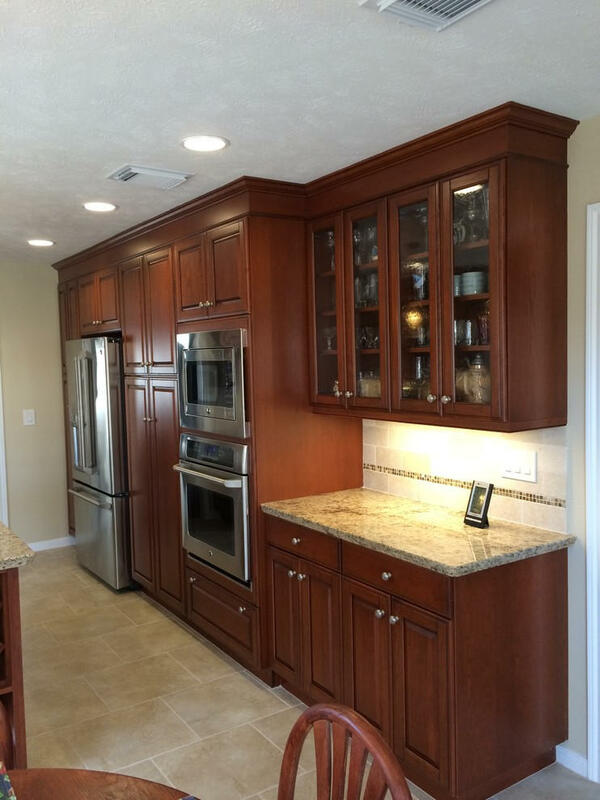 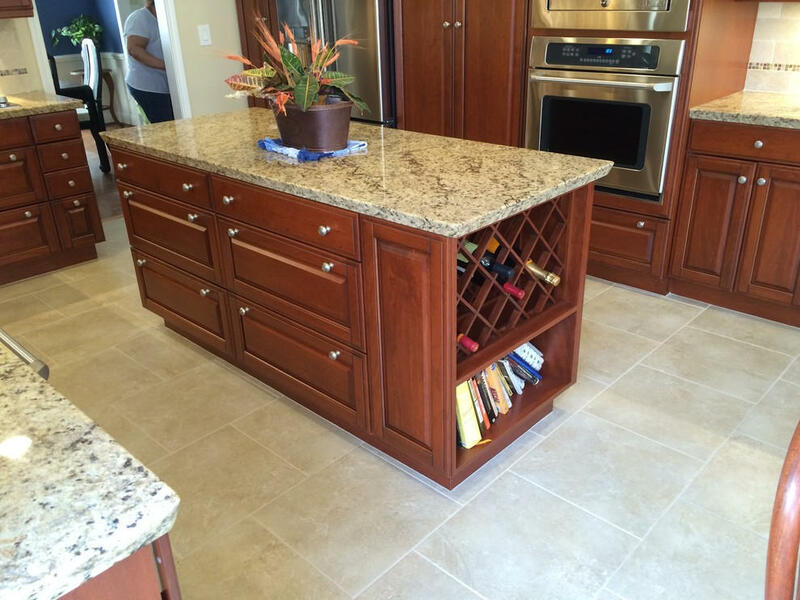 Cherry custom cabinetry by Wood-Mode (tm) with granite countertops anchor this highly functional and efficient kitchen. 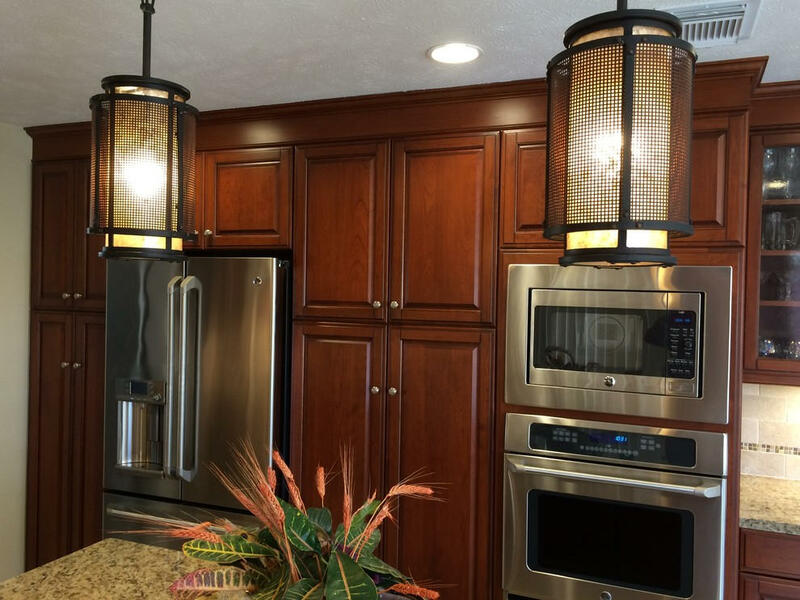 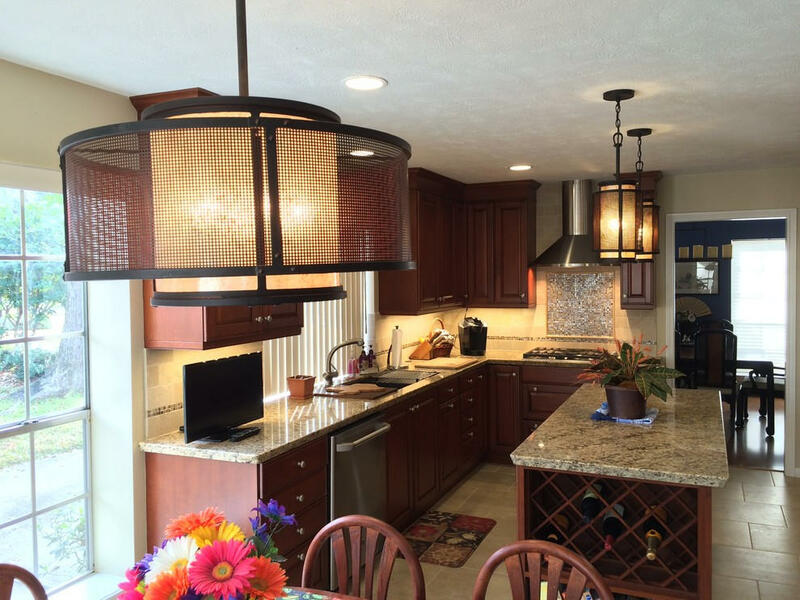 This gorgeous kitchen is illuminated by beautiful high-end pendant lights, along with high-efficiency LED under-cabinet lights and recessed cans.